Harcourts Box Hill TSL understands the value of authenticity. 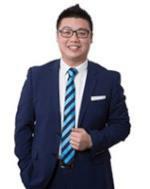 With deep local knowledge, a longstanding record of sales in the area and the ability to converse across cultures, directors Thai Tan and Jimmy Lim spearhead a growing team of passionate individuals committed to helping all Australians towards their dream of building wealth through home and property ownership. Harcourts Box Hill TSL consists of dedicated sales and property management professionals experienced in auctions, apartment and residential sales, project marketing and more. Thai’s award-winning experience (Rate My Agent’s Most Recommended for Box Hill North, 2015) and Jimmy’s wide knowledge of applied finance and investment ensure that customers will enjoy only the best from this full-service real estate agency. We love to meet new faces. People, after all, are at the centre of what we do. Why not come by our modern corner office at the intersection of Elgar and Riversdale Rd and say hi? With vibrant Box Hill and its leafy surrounding areas enjoying excellent growth and sustained investment, now is the time to experience the values and expertise of Harcourts Box Hill TSL for yourself. Let’s achieve your dream together. Traditional agency that typically sell via Auction or Private sale. We have a heavy focus on internet marketing and Print Media. We also use social media.